Mangaluru, May 16, 2015: Split between three Railway zones, the Mangaluru region continues to be at the receiving end with regard to various railway facilities, including introduction of new trains. Konkan Railway, which has been claiming Mangaluru region to be under its jurisdiction, has not initiated single special train from Mangaluru while it has operated many special trains between Mumbai and Madgaon. The Mangaluru region did not even get summer special trains to cater to the holiday rush even as the Railways advised commuters to use of special trains running between Kerala and Mumbai. 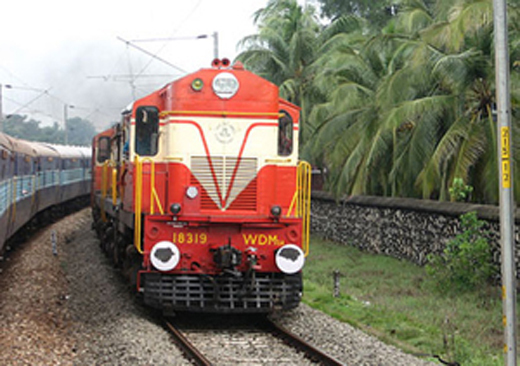 In the past five years, the Western Railway was running a weekly summer special express between Mangaluru and Ahmedabad. Absent this year, Paschima Karavali Railu Yathri Abhivrudhi Samithi Convener Anil Hegde posted a grievance on the P.G. Portal of the Union government seeking to know when the service would start. To this, the Western Railway responded that commuters intending to travel between Ahmedabad and Mangaluru may utilise the services of Train No. 09310/09309 Indore-Kochuveli-Indore weekly special express, by a single change at Vadodara. At present not enough spare coaches are available at Ahmedabad; there is also a shortage of pit line and path constraints on Ahmedabad-Vasai Road Section, the Western Railway said in its reply. Anil Hegde told the media that starting of a new train, either special or regular, from Mangaluru, required agreement from more than two Railway Zones; Southern, Konkan, Western towards Mumbai, and Southern and South Western towards Bengaluru. Unless Mangaluru region comes under one single zone this problem would not be solved. He also further said the Railways would not have any problem to introduce numerous special or regular trains to Kerala, passing through the Konkan route. Accommodation for travellers from Karnataka is hardly available on these trains as they would always run jam-packed, he said. During holidays, bus operators would make a killing as seating would not be available on regular trains. He regretted that despite the coastal region electing three Lok Sabha Members representing the ruling party, the region had not received any visible benefit as far as Railway amenities are concerned.